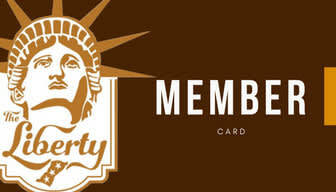 This years Membership will give you access to The Liberty Inc. between June 2018 and June 2019. The Liberty is proud to promote performing arts supported by members. Members will receive invites to exclusive events, tastings, discounted tickets, and rental opportunities. Each individual must have their own membership and all members are allowed to bring bonafide guests to events.